The salvage investigations of the AN 4 Poljana Križevačka 1 site, on the route of the A12 motorway, yielded the remains of settlements from prehistory, Antiquity and the Middle Ages. The site occupies a gentle oval elevation in the valley of the Glogovnica river, on the south-western periphery of the village of Poljana Križevačka. The salvage investigations uncovered an area of 36.152 m2. The remains of the discovered settlements date back to several prehistoric periods – the Copper Age (Lasinja culture), Early Bronze Age (Vinkovci culture) and Late Bronze Age (younger phase of the Urnfield culture), Late Iron Age (La Tène culture), as well as to Antiquity and the Late Middle Ages. The intensity of habitation during all these periods bears testimony to the exceptionally convenient position, located on the communication connecting the Upper Posavina region with the area of Križevci and Koprivnica, and with the Upper Podravina region. The data gained about the infrastructure of the settlements from each period are particularly valuable. The infrastructure of the Lasinja culture settlement consists of burials of pit-houses and pits, which contained fragments of pots and bowls, as well as jugs and spoons. 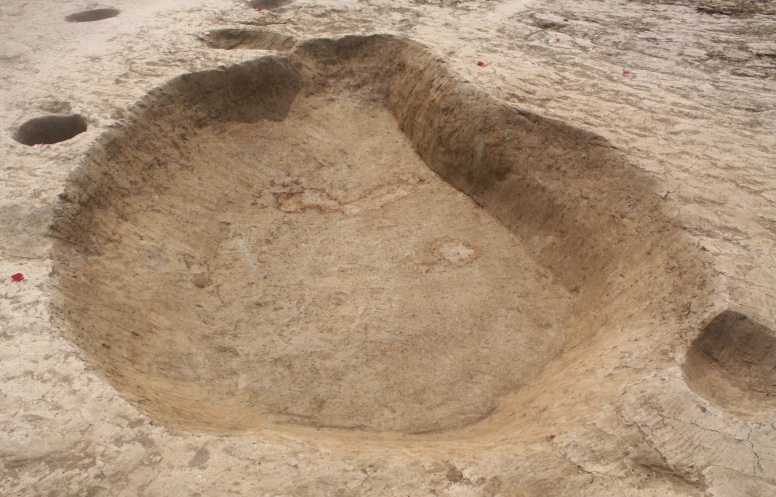 The central portion of the elevation yielded structures of the Vinkovci culture, whose fills contained rounded pots with a low cylindrical or conical neck. There were also several pits attributable to the Late Bronze Age, whose fills yielded fragments of biconical pots with a horizontally or obliquely everted rim, rounded bowls with obliquely fluted rim and rounded cups with a high handle. Based on the analysis of ceramic forms, the settlement can be dated to the Ha B phase, that is, it can be attributed to the younger phase of the Urnfield culture – the Velika Gorica group. One of the most intensive habitation phases took place during the Late Iron Age. 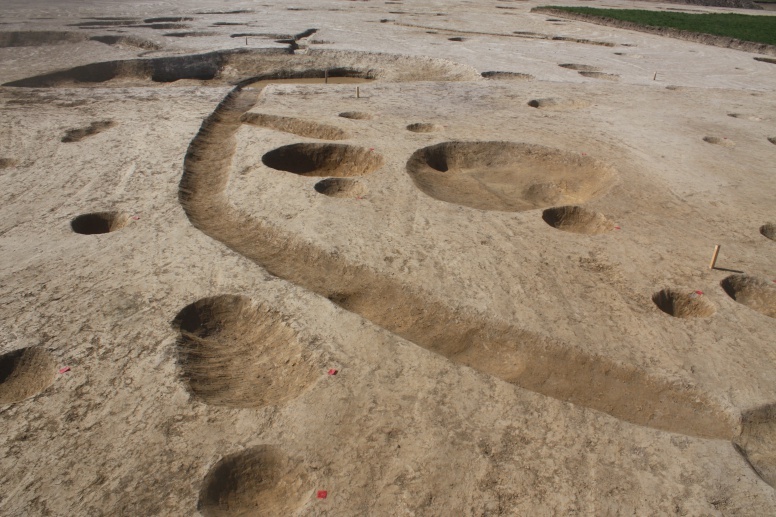 This was a characteristic lowland settlement with infrastructure consisting of the remains of houses and storages, which were preserved in the form of post-holes and numerous pits and channels that probably represent household or courtyard boundaries. Fragments of wheel-made vessels were found, but also of hand-made ones, dating the settlement to the Late La Tène. The settlement continued to exist into the Early Roman period, judging by the fact that the same types of structures and a part of the ceramic tradition remained preserved. A significant number of structures belong to the remains of the late mediaeval settlement. In the assemblage of movable finds, potsherds, heaters and fragments of iron objects can be singled out. The settlement can be dated between the 13th and 15th centuries. Historical sources mention the village of Poljana in 1267, owned by the members of the Brodarić family.